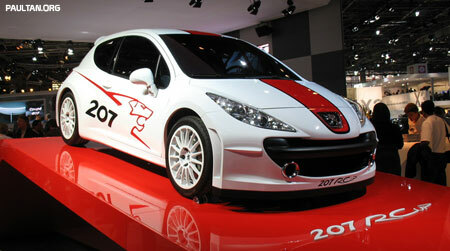 The Peugeot 207 RCup Concept was first shown at the 2006 Geneva Motor Show in March, but Peugeot has it on display again at the Paris Motor Show. 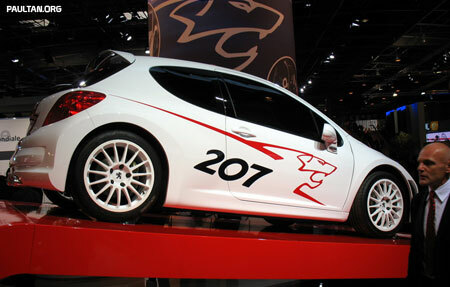 The Peugeot 207 RCup Concept Car was a teaser for Peugeot’s WRC entry – the Peugeot 207 Super 2000. The Peugeot 207 RCup has wider front and rear tracks, and larger wheel arches, giving it a much stronger look than the original Peugeot 207. 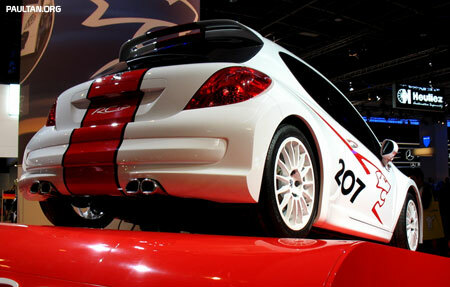 Ground clearance is 10cm, and it’s wheel arches are filled up by big 18″ wheels wrapped with 235/40/R18 tyres. Under the hood of the Peugeot 207 RCup is the same engine that will be powering the Super 2000 rally contender, a 2.0 litre normally aspirated engine tuned to produce 280hp at a sky high 8,500rpm! More photos with clickable enlarged versions after the jump.